I ordered Amelie through paypal, but it says that you have to accept my order before download. Please let me know what to do next! Thanks. I CANNOT believe these were rejected! 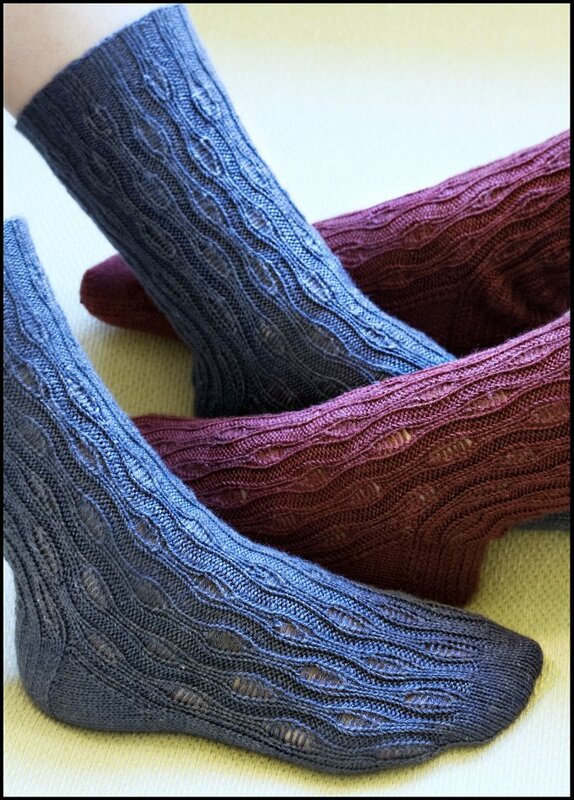 These are such beautiful socks! and your photos are lovely as well! Too bad for all of us that these aren't in knitty! you should post these on Craftster. I'm in love! Funny how now that i have the time to knit...(got laid off from work) I can't afford to buy the pattern I actually want to knit. Good luck with these... When I get a new job, this will be my first purchase! 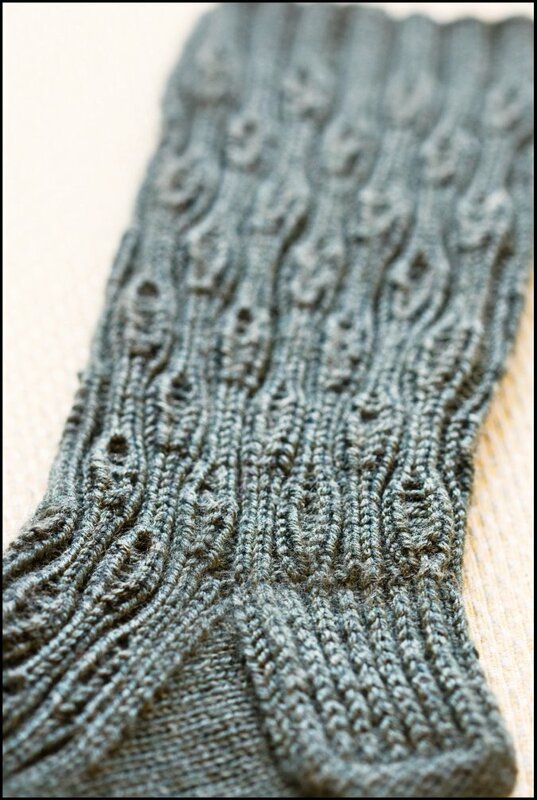 oh and fyi I saw your socks on ravelry in the new patterns section! Beautiful socks! Can't believe they were rejected! I'd submit them again! :) How about to a magazine? 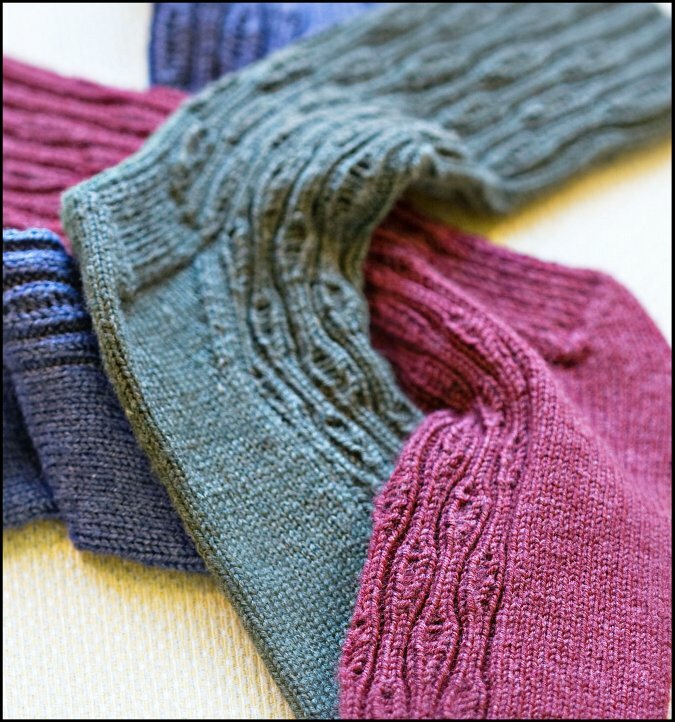 I came across these socks in my "friend activity" page on Ravelry--not only your own page, which means they've quickly found an audience, regardless of whether or not Knitty picked them up. And they're lovely! Terrific pattern, Alana! These are really very beautiful. I don't see why these would be rejected, and something like the Lace Ribbon Scarf would be accepted (besides Veronik's big name status). I really think you should submit this pattern to any of the newer online knitting zines like Knotions or Twist Collective. It was great to meet you at the shop last week. I was in the kitchen baking my cookies this morning, listening to your podcast (on #2) and heard you mention these socks. So, I had to revisit your blog to take a peek at them again. 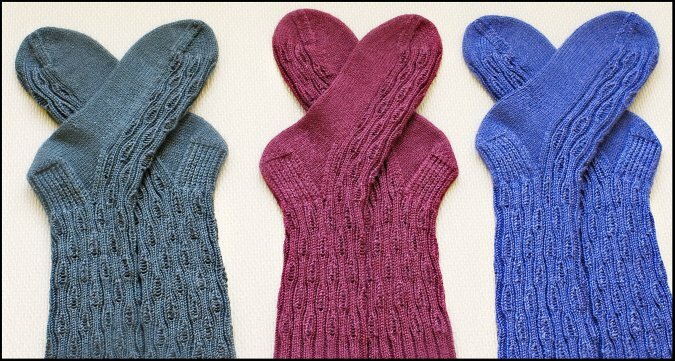 I am a very beginning level knitter, so I am in awe of the fact that socks like these even exist! But the fact that you DESIGNED them and knit them so beautifully, AND with 3 different methods is more amazing still!! Beautiful job Alana! I would definitely take other people's suggestions and submit them elsewhere. Someday, when I'm good enough, I hope to give these a try. Great socks! They're on my "to do" list. What are they great black shoes? Very nice with the socks! Love these socks! Great designing :) Can you tell me if they are cuff down or toe up?